This was our 46th conference. The presentations were thoughtful, polished, enthusiastic and at times contentious, but the debate was perhaps less vigorous than of yore. Have a look at the report of our very first conference, at Minard Castle in 1972, to see what it was like then. There were old tunes and new tunes. There were older folk, and younger folk. The youngest was Bobby Allen aged 14. He played Company’s Lament, an old tune possibly going back to Joseph MacDonald’s East India Company. A credit to Bobby, and to his teacher Willie Morrison. The day started with Professor Hugh Cheape and Dr Decker Forest from Sal Mor Ostaig looking at how piobaireachd has evolved, and, rather enigmatically, descended. 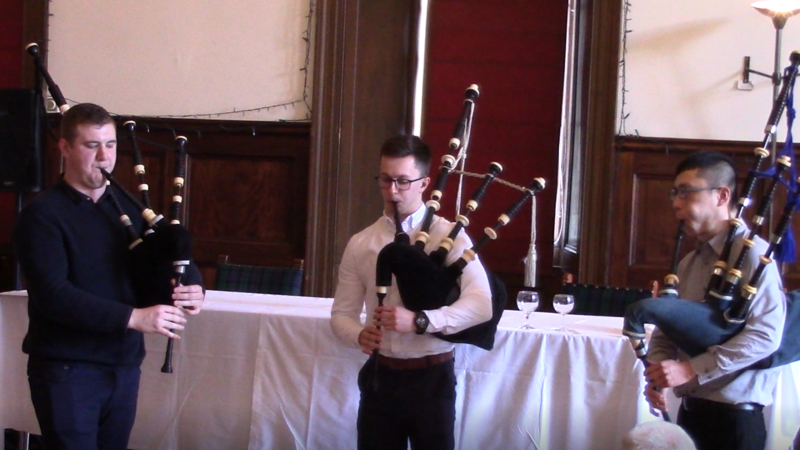 Professor Cheape emphasised the importance of Piobaireachd in Scottish culture, and quoted evidence that the piper was thought more important than the chieftain. He observed that just as the music evolved as it passed vertically down the generations of the great families, it must surely have evolved too due to horizontal transmission between the same generation of those families. 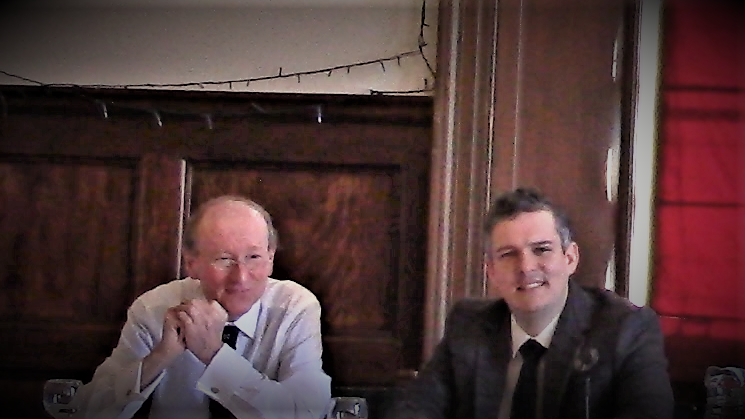 One of these families is the MacKay’s of Raasay, and Dr Forrest reminded us that piobaireachd could have vanished completely had John MacKay gone to America, as he was minded, rather than to Drummond Castle, from where his son Angus could look outward from Gaeldom. He also drew a parallel between the evolution of light music and of that of piobaireachd. Light music was made complex by GS MacLennan, and those before him had either to compete with that or disappear. Similarly fashions would change in piobaireachd, and any style is simply the style of the time. John Mulhearn is founder of the Big Music Society. No set tunes, no committees, no constitution, no Gaelic. 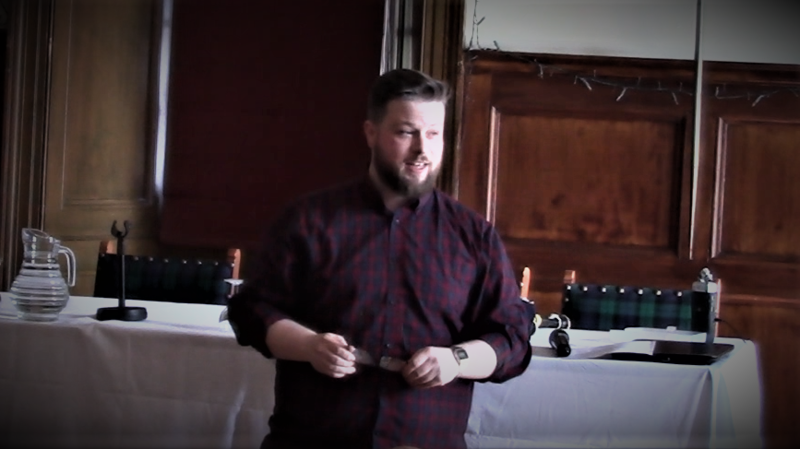 Disillusioned with playing competitively at gold medal level to almost no audience, and comparing competition pibroch to a concrete girdle whose mystery has long gone, he aims to connect it to the 21st century by making it an experience rather than an endurance event. 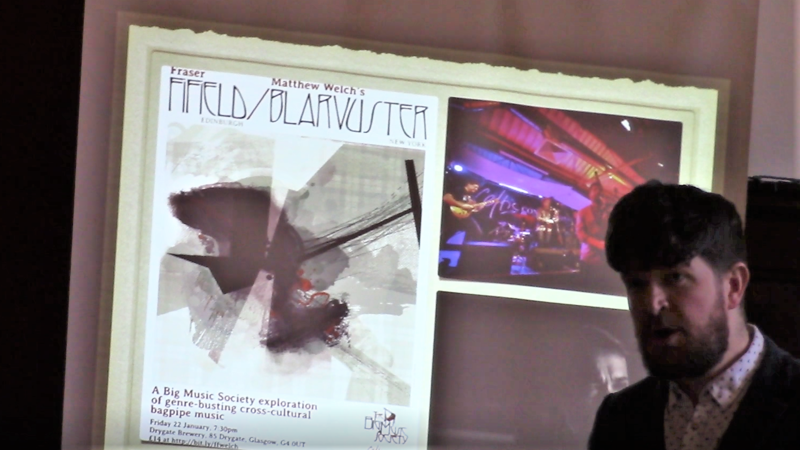 So, using strings, flute, guitar and piano and electronics as well as pipes and taking inspiration from jazz, he has had Murray Henderson playing Lament for Hugh with a string quartet, Rhona Lightfoot singing Maol Donn accompanied by Allan MacDonald and Fraser Fifield on flute with The Old Woman’s Lullaby. Future plans include dramatisation of A Flame of Wrath for Squinting Patrick at Tradfest in the story-telling centre in Edinburgh. Next was a professional and absorbing selection from four students studying for the BMus degree at the Royal Conservatoire of Scotland. They were Chris Lee, with Jakez Pincet’s Salute to Glasgow’s Piping Quartet in Quimper, Seoras Lewis with Balnaud Cottage (Gordon Duncan) and Father John MacMillan of Barra (Duncan Johnstone), John Dew with a composite setting of Cave of Gold, and a trio with Seoras, Chris and Cameron MacDougall playing light music and this attractive arrangement of a “modern” tune, Donald MacLeod’s Lament for Islay Flora MacLeod. 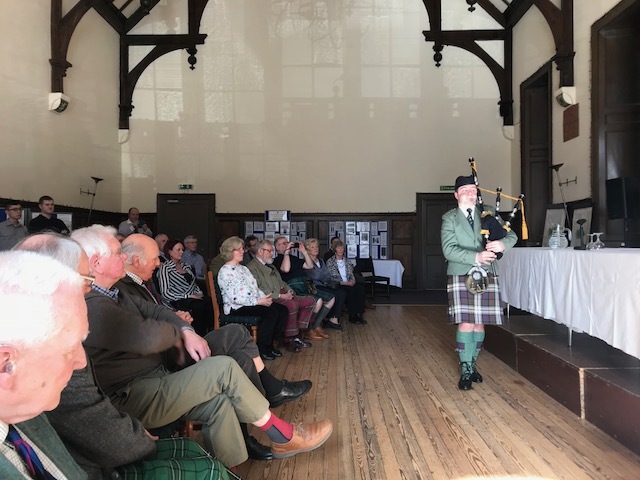 The audience was stilled as Glenn Brown, representing the Competing Pipers Association, struck up outside the hall and entered playing Lament for John Morrison of Assynt House, another Donald MacLeod “modern” tune, on a perfectly tuned pipe. He introduced the main speaker, Dan Nevans, by saying that a judge had told him 10 years ago “You should not be playing modern tunes in competition”. In turn Dan quoted his father “The first sign of madness is doing the same thing over and over and expecting the same outcome”. So, although Dan’s reference to 2001 Space Odyssey was maybe lost on some, the thesis was clear. Modern music and development must be positively encouraged, much more than just setting modern tunes. The time is ripe. Pipers should learn and play new compositions, teachers should teach them, then the teachers become judges who can confidently judge them. 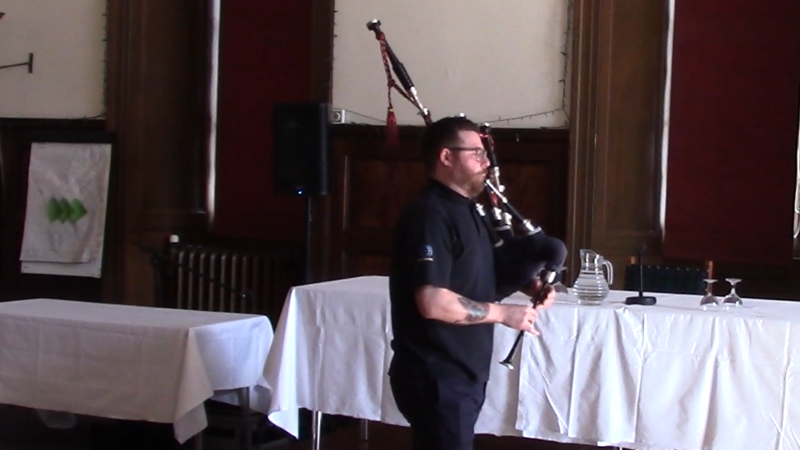 Dan finished his talk by playing Stuart Samson’s Land of Bens and Glens and Heroes on his Thow bagpipe. 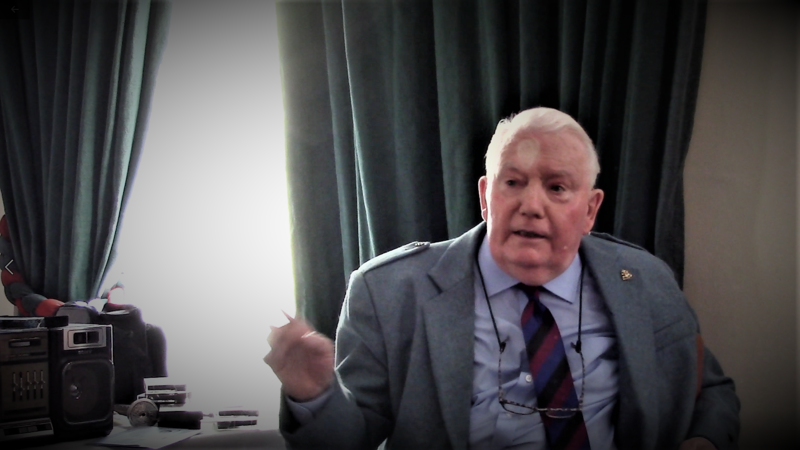 Next a move from the grand hall to the more intimate Cameron room where John Shone, a verteran of over forty PS conferences was sat with his ghetto blaster and pile of cassettes to tell us about his teachers. From the strict, kindly, and brilliant JB Robertson (chanter over the knuckles), David Ross (who won prizes at Inverness at a great age), through the gently encouraging Donald MacPherson (the best teacher), the dogmatic RB Nicol (whose teaching John didn’t rate at all), and the charismatic RU Brown, John’s tales, and the playing of these masters completely gripped young and old. A smaller than usual number stayed for the dinner and ceilidh. They were well entertained by Lament for MacSwan of Roaig (Bill Wotherspoon), Lady MacDonald’s Lament (John Frater), MacLean’s March (Alan Forbes), Grain in Hides Corn in Sacks (Decker Forrest), Black Wedder’s White Tail (Bob Lowe), Lament for the Old Sword David Glen setting (Walter Gray), Lord Lovat’s Lament (Robert Frater), Park Piobaireachd 2 (Jack Taylor). and Salute to MacKenzie of Applecross, Robert Frater with Mrs Smith’s Salute and Clan MacNab’s Salute, Jack Taylor with Young Laird of Dungallon and Salute to the Cairn at Boreraig and Decker Forrest with Grain in Hides and Red Hand in the MacDonalds Arms. This tune comes from Decker’s part of the world, Sleat in Skye, and his Henderson drones previously belonged to the local blacksmith in Ardvasar who crafted this MacDonald Crest which hangs on the door of his forge today. 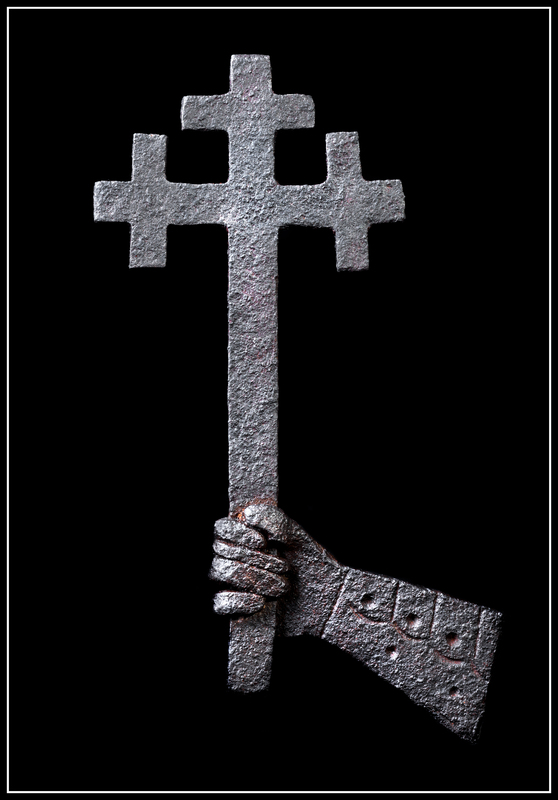 Red Hand in the MacDonald’s Arms by the Ardvasar Blacksmith. Photograph copyright Simon Larson, 2016. Decker told a story about it which will be in the full conference proceedings, including video. At the AGM the President reported the continuing good health of the Society, and that we are looking at further ways of disbursing funds in pursuit of our aims. Some doubts were expressed about the diminishing numbers at the conference, with a mood that something different is needed next year. Alan Forbes and Robert Wallace were re-elected to the General Committee.